Many people are not even aware that they are suffering from Sleep Apnea, or of the serious risks that accompany it. Our dentists can help in the customized diagnosis and treatment of Sleep Apnea while providing you, and your loved ones, a more peaceful nights sleep. With a number of effective treatments available for cosmetic restorations, the innovative CEREC® technology available in our office allows us to provide complete crowns, veneers, inlays, and onlays in a single office visit! This modern, patient-oriented approach is designed to effectively restore and conserve your natural teeth. At Pomerado Classic Dentistry, our experienced dentists provide patients with this minimally invasive and cost-effective approach. The unique option of Invisalign® allows our patients a discreet and comfortable alternative to traditional braces. Dr. Robbi Wilson, our licensed Invisalign® dentist, is able to provide our patients with straighter teeth and correct bite alignments in a convenient, customized process. Quick evaluation and treatment in the event of a dental emergency is important. At Pomerado Classic Dentistry, we have an on call dentist who provides our patients with the necessary support and treatments needed, 24 hours a day. We are proud to be approved as an official Veterans Affairs Vendor for military veterans looking for covered dental treatment! Click the link below to learn more about the different Financing and Insurance options available at our practice. We offer a number of effective treatments for kids and teens that can maintain the health of their teeth and gums and prevent problems from occurring down the road. Our dentists can help your child keep that beaming smile going long into adulthood! Your 20’s and 30’s are very formative years – building careers, meeting new people, seeing more of the world, and making great impressions. Our dentists can help you renew the appearance of your teeth and maintain confidence in your smile. 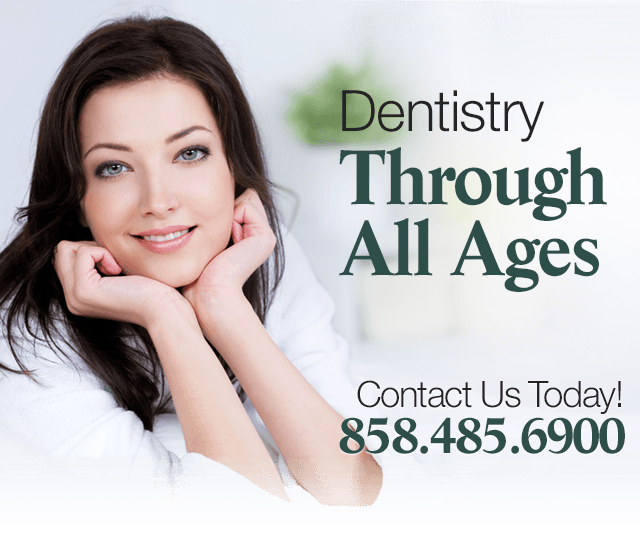 A variety of advanced treatment options from our experienced dentists can help you maintain a bright, beautiful smile well through your 40’s and 50’s. With cosmetic and restorative dental care, you can improve a number of common conditions affecting the teeth and gums. With cosmetic and restorative dentistry treatments, your teeth and gums can remain healthy, fresh, and beautiful throughout your 60s and into the future. A number of treatments available from our experienced dentists can restore and renew both the form and function of your teeth. Dr. Valeri Sacknoff and Dr. Robbi Wilson have been designated a “Top Dentist” in San Diego for five consecutive years. They lead an experienced dental team that is committed to providing you with advanced procedures designed to enhance both the form and function of your teeth. From porcelain veneers to dental implants and much more, our procedures are designed to be safe, effective, and as comfortable as possible. To us, you are not just a patient... you are our family! Please take a look through our website to discover all about our dentists, treatment techniques, amenities, and other aspects of our state-of-the-art practice. If you have any questions, or if you would like to schedule an appointment, please contact Pomerado Cosmetic Dentistry today. We look forward to hearing from you!